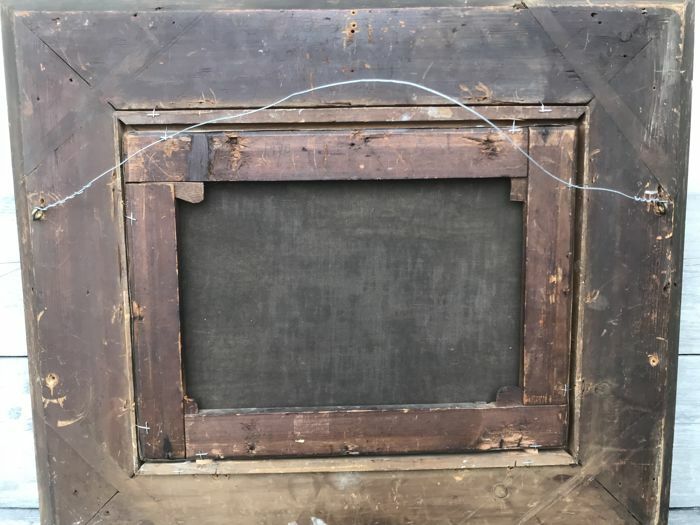 Framed in nice frame from that period. 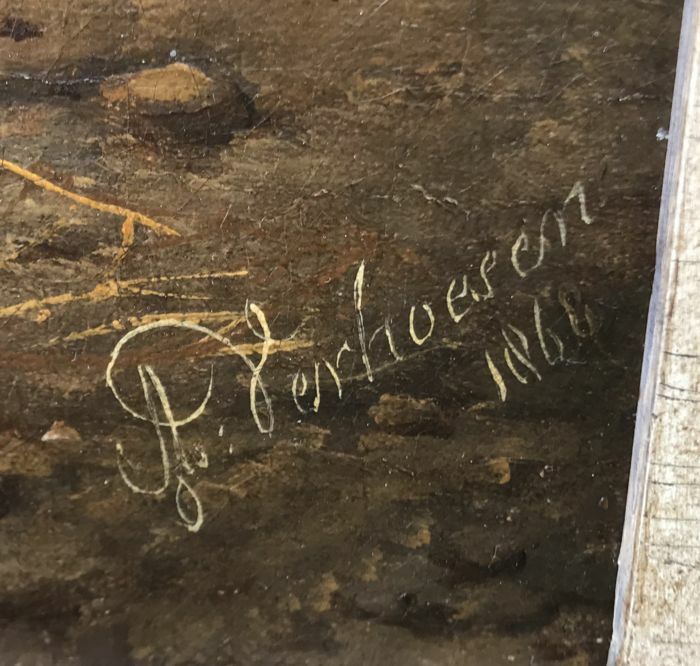 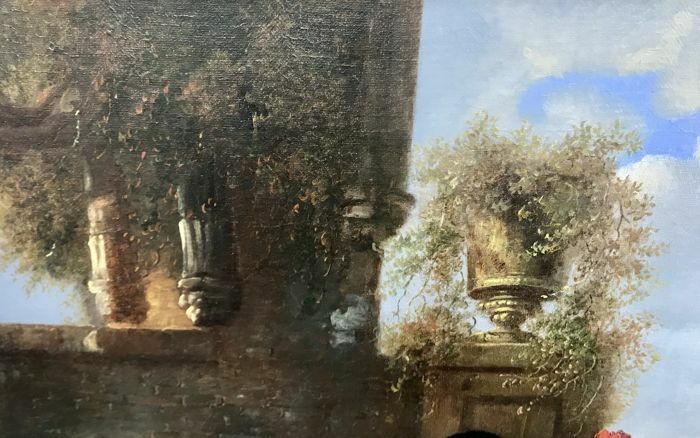 Painting is signed on the lower right and dated. 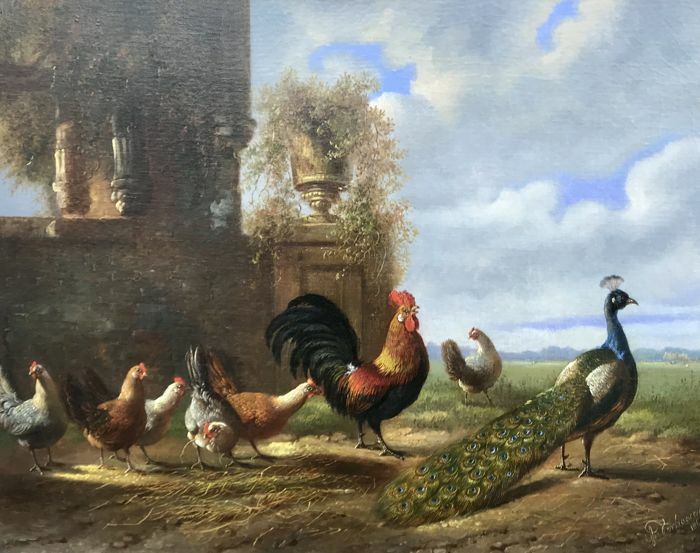 Chickens, rooster and peacock roam the land on a lovely sunny day. 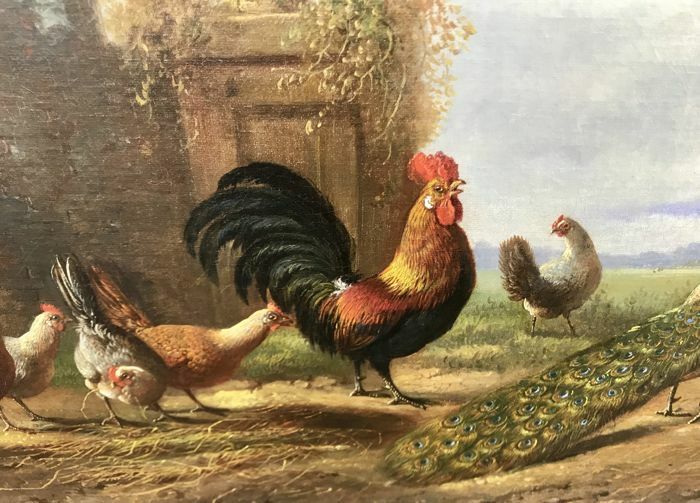 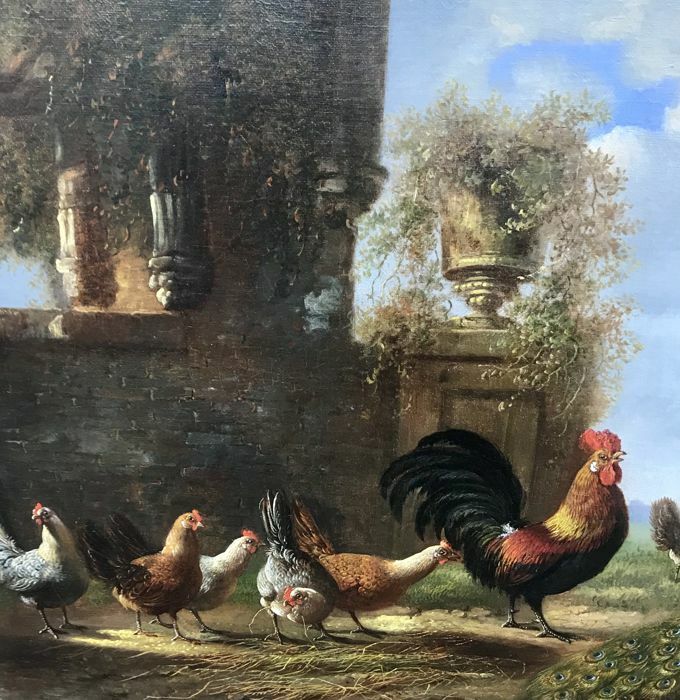 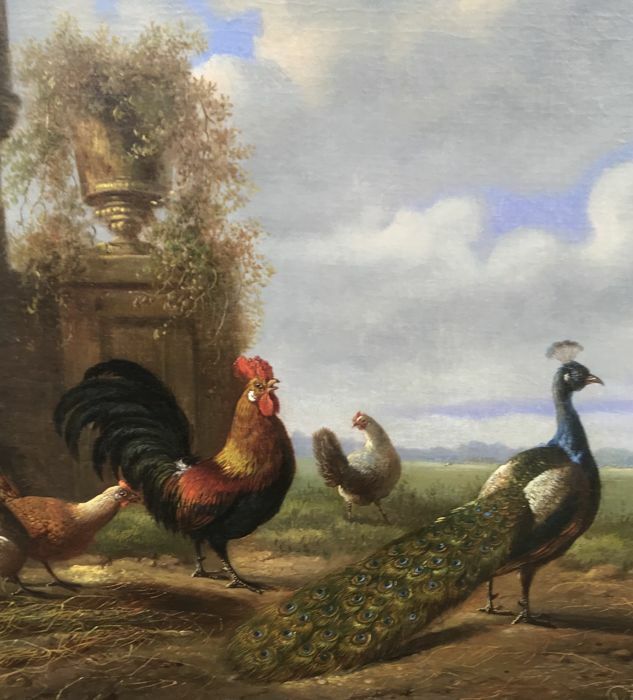 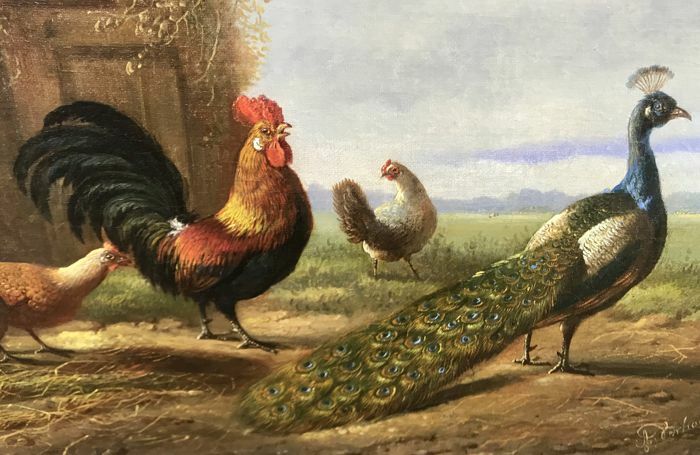 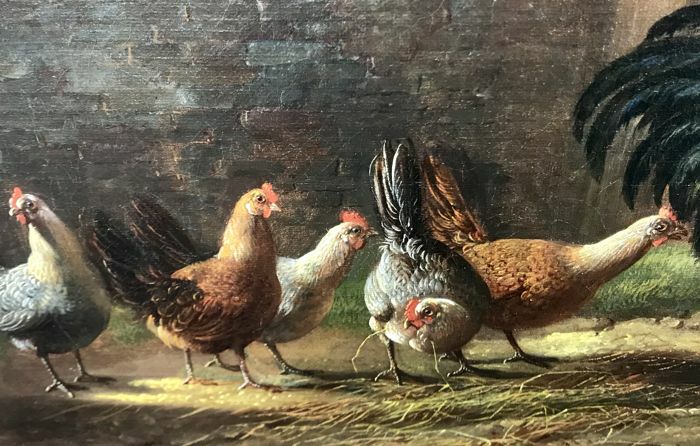 This work has a nice size regarding the fact that he often painted small chicken works. 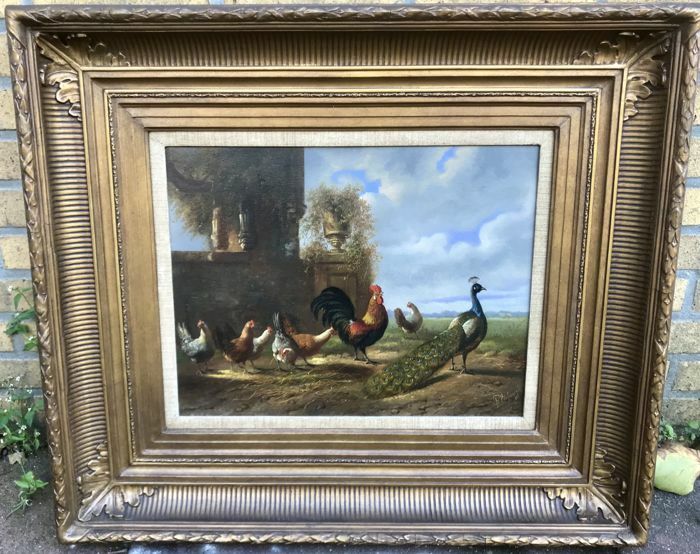 An asset to the collector.